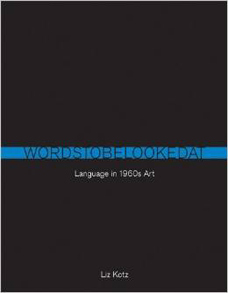 Language has been a primary element in visual art since the 1960s–in the form of printed texts, painted signs, words on the wall, recorded speech, and more. In Words to Be Looked At, Liz Kotz traces this practice to its beginnings, examining works of visual art, poetry, and experimental music created in and around New York City from 1958 to 1968. In many of these works, language has been reduced to an object nearly emptied of meaning. Robert Smithson described a 1967 exhibition at the Dwan Gallery as consisting of “Language to be Looked at and/or Things to be Read.” Kotz considers the paradox of artists living in a time of social upheaval who use words but chose not to make statements with them. Kotz traces the proliferation of text in 1960s art to the use of words in musical notation and short performance scores. She makes two works the “bookends” of her study: the “text score” for John Cage’s legendary 1952 work 4’33”–written instructions directing a performer to remain silent during three arbitrarily determined time brackets– and Andy Warhol’s notorious a: a novel–twenty-four hours of endless talk, taped and transcribed–published by Grove Press in 1968. Examining works by artists and poets including Vito Acconci, Carl Andre, George Brecht, Douglas Huebler, Joseph Kosuth, Jackson Mac Low, and Lawrence Weiner, Kotz argues that the turn to language in 1960s art was a reaction to the development of new recording and transmission media: words took on a new materiality and urgency in the face of magnetic sound, videotape, and other emerging electronic technologies. Words to Be Looked At is generously illustrated, with images of many important and influential but little-known works. 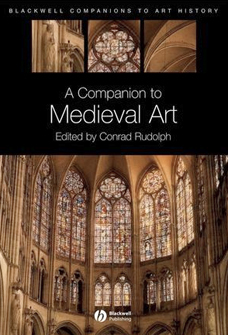 The book contains contributions from scholars from literary, visual and media studies, history, the social sciences, philosophy, anthropology, psychoanalysis, and fashion history. It is the first to focus on the role of fetishism in the arts and their relevance for the discourse on fetishism. Fetishism is a key phenomenon of modern societies. It not only influences religious and mental dispositions but also libidinous object relations in consumerism and mass culture. The contributions thus focus on fetishism as a cultural ‘index fossil’ and pursue its traces into the fields of force between artists, works, collections, art reception, and beyond. In doing so, the book traces back present cultures of fetishism in art, media, and economy to the origin of fetishism as an intercultural and colonialist concept in the 18th century. 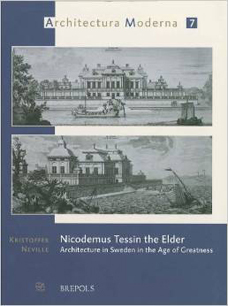 Nicodemus Tessin the Elder was an architect, gentleman, and founder of the artistic dynasty that was immensely influential at the Swedish court in the seventeenth and eighteenth centuries. He was architect to the crown, to the nobility, and to the city of Stockholm, and he supplied buildings for a wide range of functions, from palaces to banks, courthouses, and fortifications. His unusually extensive travels in the Netherlands, Italy, France and Germany provided him with a comprehensive picture of contemporary European architecture, which he drew on as he synthesized a new group of buildings that would attract international attention as models for princely architecture. 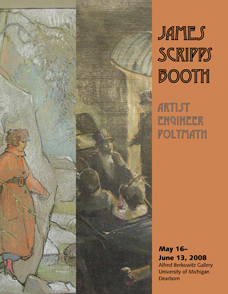 His productivity required a new approach to architecture, and he was part of the first generation of architects in northern Europe to develop the architectural studio, distinguishing the design process from the business of building, and in the process recreating himself as the modern architect. Ein breites Spektrum methodischer Ansätze beleuchtet in diesem Band profane und sakrale Kopf- und Büstenbildnisse und gelangt zu einer Neubewertung dieser zentralen Gattung. Die Kontinuität der Bildform und ihre Ambivalenz zwischen Individualität und Typus, Bildnis und Kultobjekt, Lebendigkeit und Fragmentierung lassen die Objekte für eine Vielzahl von Fragestellungen fruchtbar werden. 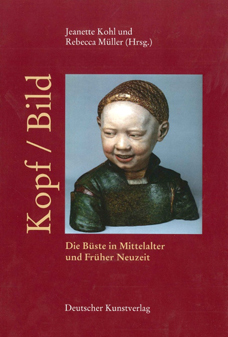 Dreizehn Beiträge beleuchten die Spannungsfelder »Paradigma Antike«, »Fiktives Porträt, wahres Antlitz«, »Status und Memoria«, »Performanz des Fragments« sowie »Material und Illusion«. Anstelle eines Überblicks wurde bewusst eine Konzentration auf Italien verfolgt, die sich als gewinnbringend für die Diskussion aus unterschiedlichen methodischen Blickwinkeln erweist. 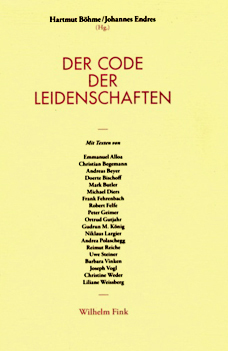 Beiträge zur deutschen Klassik und dem 18. Jahrhundert in England erweitern die Perspektive und zeigen auf, in welcher Form Topoi, etwa jener der Lebendigkeit, reflektiert werden.